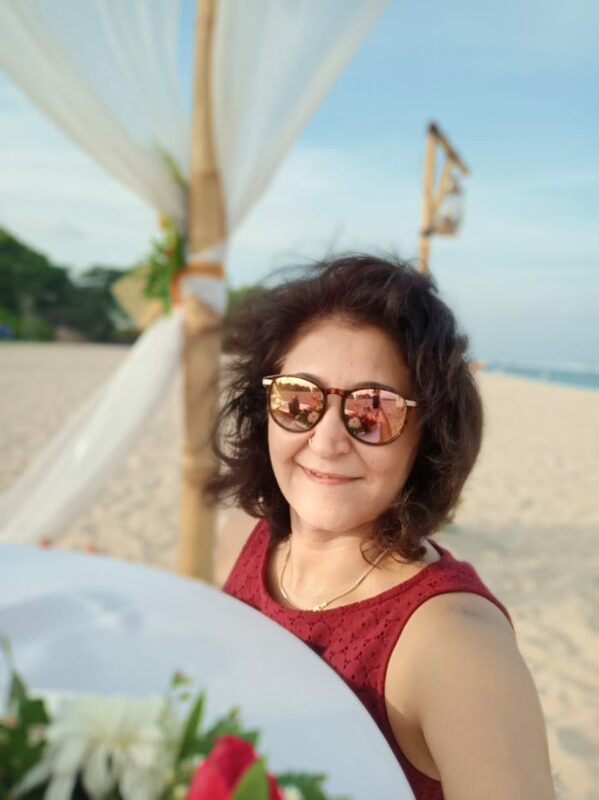 Kavita Kapoor has been living In Jakarta, for the last 17 years. After, having worked as a professional in the exports industry for 12 years, and running a small chocolate business in Jakarta, she chose to hang up her boots to raise her kids. While raising her kids, she continued to experiment on her own. 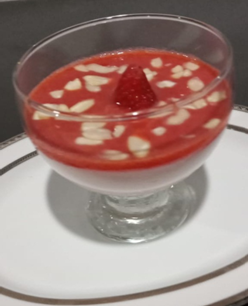 She shares her 7 tried and tested low calorie desserts to satisfy the sweet tooth without the guilt. 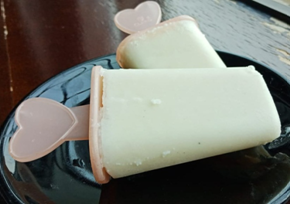 Beat the heat with these refreshing Popsicle sticks. Place all the above ingredients in your blender and blend on high speed, till it all comes together. Put into Popsicle moulds and freeze for at least 8 hours or overnight. 1. Soak the dates in water, 2 hours minimum, to soften. Do seed the dates. 2. Run in the dry jar of your blender, to get a smooth paste. Scoop out the paste onto a flat plate. 3. Next, in the same jar coarsely grind the walnuts. Mix the walnuts into the dates paste. Now moisten your palms with some water, take about 1 tbsp of the paste and make a small laddoo by rolling in-between your palms. 4. 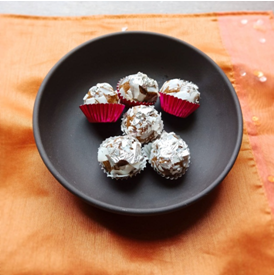 Roll the laddoos in coconut flakes. To serve: Garnish with silver foil. Note: If needed, you may add some honey or artificial sweetener as per your taste. Some varieties of dates are so sweet that, no additional sweetener is needed. 1 cup hung curd, preferable from whole milk for a smoother taste. Curd to be hung for at least 2 to 3 hours to get a creamy texture. Mix the pudding mix and milk together in a pan. Bring to a boil and simmer for approx 3mins, till it thickens. Let it come to room temperature. It may set. In that case whisk with a balloon whisk. In a another big bowl, whisk together, the hung curd, the prepared pudding mix as above and honey to get a smooth mix. It will take you 1 or 2 mins for this quantity. Spoon equally into Ramekins and refrigerate for at least 6 hours. Note : You may use strawberry flavored Greek yogurt. In that case honey may not be required as both the pudding mix and the flavored yogurt are sweet. Bring the 3/4 cup of water to a boil. Take half, i.e., 1 cup strawberries, chop into small pieces and add to the boiling water. Simmer for about 5mins or till the strawberries are soft. When cool, place into your blender jar, along with the balance 1 cup of chopped fresh strawberries and blend to get a smooth sauce. If the strawberries are tart you may add some sugar /honey/ artificial sweetener at this stage. Refrigerate the sauce till ready to serve. To serve: pour the sauce equally, over the dessert cups. Garnish with almonds and serve. Grated chocolate about 2 pieces, Mint leaves. Microwave, the chocolate for 30secs, stir well. The chocolate will be semi melted at this stage. Repeat for another 20-30secs. Stir well. By now the chocolate should have melted. If your pieces are big you may need to microwave for another 20secs, to completely melt the chocolate. Cut the avocados and take out the flesh. Place all the ingredients, milk, honey, cocoa powder, and melted chocolate into the blender jar. Blend for approx 2mins or until the mousse comes together. At first it will look crumbly and separated. Gradually it will take on a mousse consistency. Pour, equally into small ramekins or a big bowl. Refrigerate for 5-6 hours till well set. To serve: garnish with mint leaves, strawberries and grated chocolate. Honey / Maple syrup for vegans to taste if you require a sweeter taste. Mix the agar-agar with water and bring to a boil. Simmer till it looks thick and coats the back of the spoon. 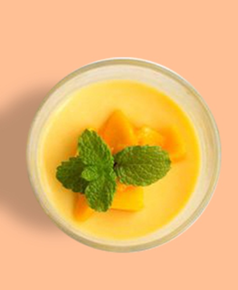 Place in your blender jar, the mango puree, mango juice, coconut milk and prepared agar-agar. Agar-agar should be in semi liquid stage. 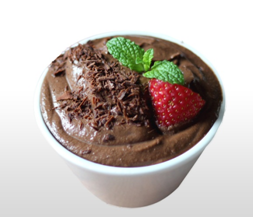 Blend all the ingredients well for approx 1-2 mins to get a smooth pudding like consistency. Pour equally into prepared ramekins or the into a big dessert bowl. 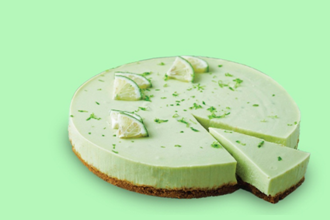 To serve: Garnish with Mango slices and mint leaves. 3 Cups raw cashews soaked overnight. Blend the nuts in the dry blender to a crumbly texture. Take a small ball, press to check if it binds. If you find the mixture does not bind together, pulse it a little more. If it still does not bind, add 1tbsp of VCO. Next take a spring form tin. Line the base of the tin with baking paper. Pour the mix into it and with the back of your spoon press firmly. Chill in the refrigerator for at least 30mins. Warm the coconut oil and the maple syrup/ honey in a pan over medium heat. Whisk with a balloon whisk to blend well. Next in your blender jar, blend with all the above ingredients for at least 2-3mins, depending on the speed of your blender. If you find the mix liquidy, add some coconut cream. Pour onto the chilled base. Chill again for 8 to 10 hours. Combine all the flours together. Take milk in a pan. Add the combined flours and mix well. Now place on medium heat and cook to pudding consistency, or until the mixture thickens and coats the back of the spoon. Take off from heat and add immediately add the finely chopped chocolate. Stir well for the chocolate to melt and combine. Cool the pudding to room temperature. Next, whip the cream to soft peaks using a hand mixer or a balloon whisk. Add in the vanilla extract. Gently fold the cream into the pudding. Take out onto ramekins or onto a dessert bowl. Chill for 6 to 8 hours. 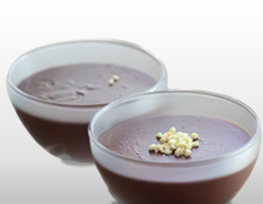 To Serve: Garnish with grated chocolate, chocolate wafers . Note: Roselle cream and chocolate both are sweet. Hence no added sugar. Please feel free to add sugar/honey as per your taste. Kavita has tested all these recipes and all the images in the recipes above are from her kitchen studio. Do try and share your comments below.